The £2000 project – HubNut – celebrating the average! In 2010, I realised that I needed to try and stop wasting so much money on cars. I’d got into a bit of a cycle of buying crap cars, then spending loads of money on it before selling it for a pittance. An Alfa Romeo 164 V6 Lusso was a highlight – I only lost £75 on that one – but a Bond Equipe saved from the Scrappage scheme ended up losing me over £1000, while a Rover P6 stood me for a similar amount. I was doing it all wrong! 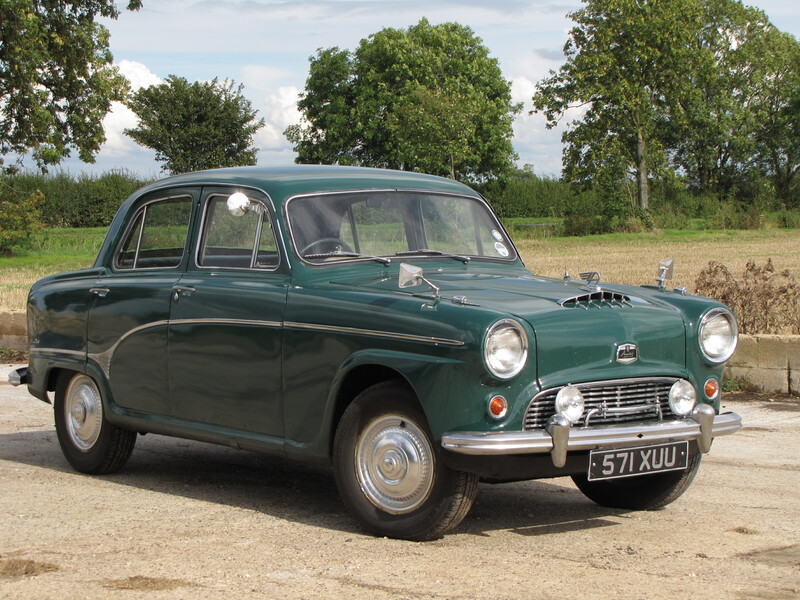 raised just over £2000 and spent £2200 on a rather delicious 1955 Austin A90 Westminster. £2200 spent on this fabulous machine. Could Ian avoid a loss? It remains the oldest car I’ve ever owned, eclipsing the 1968 Bond Equipe GT4S, and 1966 Rover P6 2000 money pit. I loved the thundering Big Healey soundtrack from the Westminster’s meaty six-cylinder engine, its fine looks and the wonderful two-tone leather upholstery. Apart from a quick service, which cost very little in parts and materials, I did nothing to it at all and enjoyed a summer of column gearchanges and ponderous handling. My plan to try and raise a profit hit a snag when my wife and I decided to quit our jobs and move to Wales. We owned five vehicles at the time and the sheer logistics of moving them all 200 miles away was a problem. The Westy would have to go, and quickly! So, it found itself shoved into a sale at Anglia Car Auctions while we drove west. It sold for £2050, which at least meant that I hadn’t spent or lost hundreds of pounds for once! £150 (plus another £100 for servicing costs) didn’t seem bad outlay for a summer of enjoyable motoring. Again, I carried out a basic service but it didn’t need a lot else. 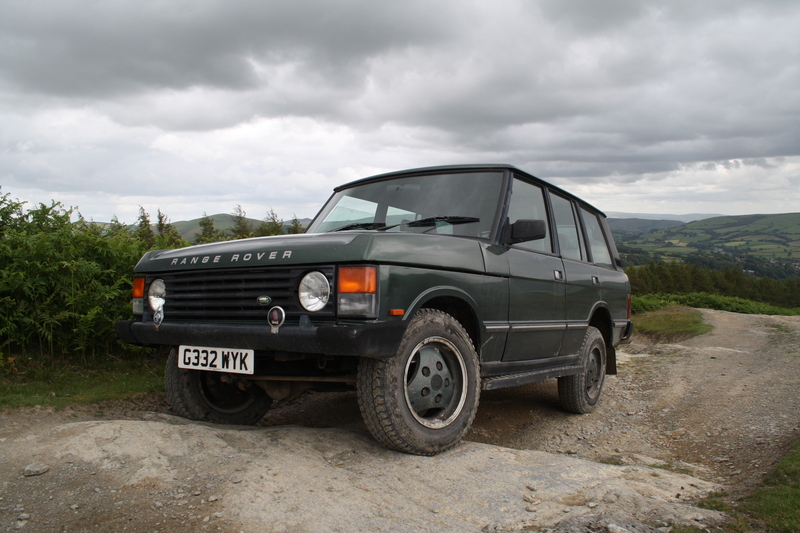 I had good fun off-road in it then sold it on Ebay for £2350. That went a long way to making up for 15mpg! It went to a trader who asked £3995, proving just how undervalued it was when I bought it. A rare good purchase by me! I got rather carried away at this stage I must admit. I’d bought a childhood dream car and not only enjoyed it, but managed to turn in a profit. I decided to grab another slice of boyhood dreamland in the form of a Reliant Scimitar GTE, after a lot of careful thought. 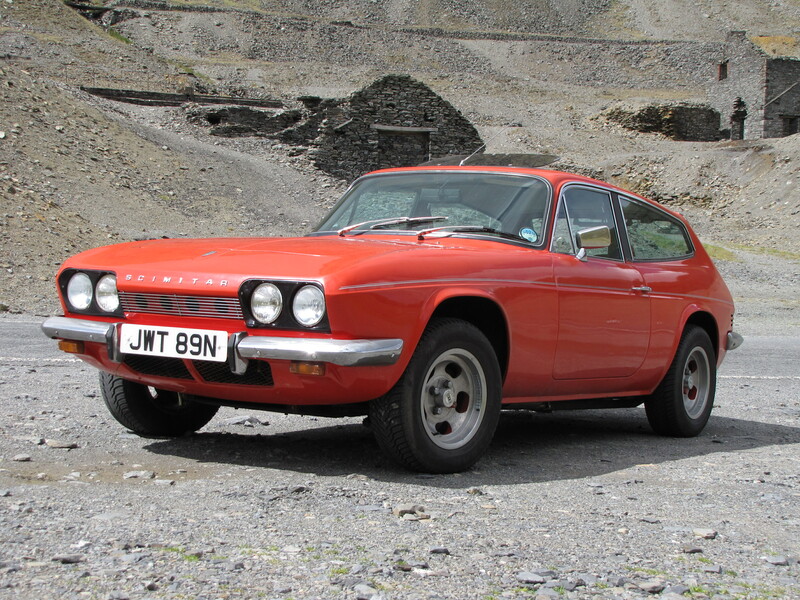 I’d never driven a Scimitar before, but surely they’re actually good? I assumed so and bought an enthusiast-owned one for £1650. The condition was first rate. How on earth was it that a sports car in such good condition, with such an incredible exhaust note could be bought so cheaply? Ok, so the quality wasn’t exactly superb, but it handled tidily and went very well, yet was also very relaxing on a long run thanks to tall gearing and an overdrive. So it was that I bought a Range Rover with no MOT for £1000. Oh, and it had the ‘crap’ VM diesel engine too. Had I lost the plot? Surely this was a disaster waiting to happen? Well, not entirely. I reasoned that the Scimitar sale left me with about £650 as a repair fund, and I reasoned that surely an MOT’d Rangie would get £1500? I reckoned it stood a good chance of getting a pass and, with a pair of tyres for a decent £150, it did so. Success! I’m getting good now! Well, not entirely. You see, despite picking up on a heater blower issue when I test drove the car, I dismissed it as nothing much to worry about. Foolish mistake and after a full two days of painfully stripping out the dashboard, it became apparent that the wiring was a mess and the heater unit in need of replacement. Balls. Not a nice job. While pondering what to do, I used the Range Rover to drag home my BX project, and also enjoyed its incredible off-road ability. 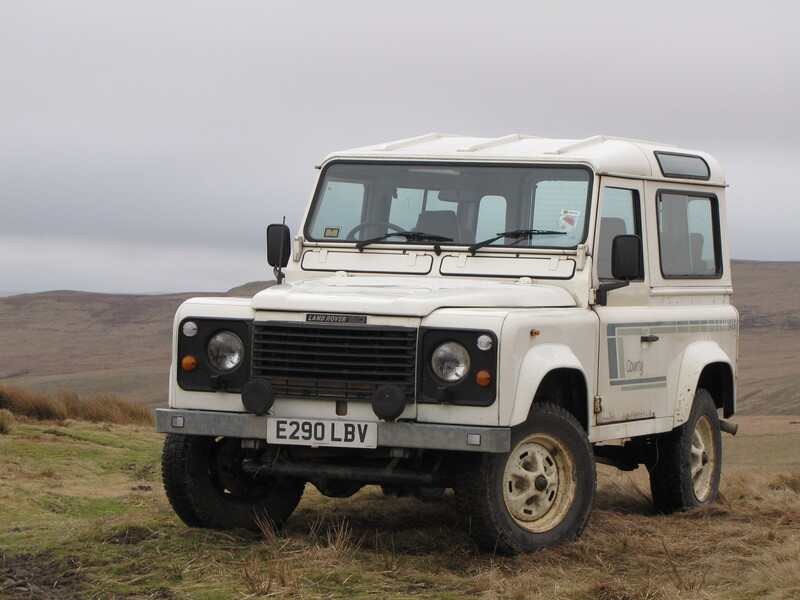 If anything, I found it better and much nicer to drive off-road than the Land Rover. I will have to buy another one at some point because they are ace. The problems kept coming though, and I managed to spend over £200 having new rear brake discs fitted and trying to get to the bottom of an ABS fault. I failed and the Range Rover was threatening to absorb too much of the ‘pot.’ With winter looming and problems developing, it was time to say goodbye. And then I did something odd. I’d earmarked this £2000 pot for my ‘toy’ on the fleet. However, times had changed. I didn’t have a sensible car on the fleet any longer and while I absolutely love my Citroen 2CV, there are times when I do hanker for a bit of peace and quiet on the move. My Mk1 Citroen BX will hopefully take over the ‘sensible’ duties, but it needs a lot of work first. Some of the ‘project £2000’ cash will be taken up by the BX restoration. I needed a sensible car for the winter though and so I swapped the Range Rover for something sensible. Ish. That’s my Rover 75 which you can read about in my previous Blog. Yes, the Range Rover probably owed me getting on for £1500 but then I reckon there’s a fair chance of getting near that if I sold the 75 tomorrow. Which I don’t plan to do!